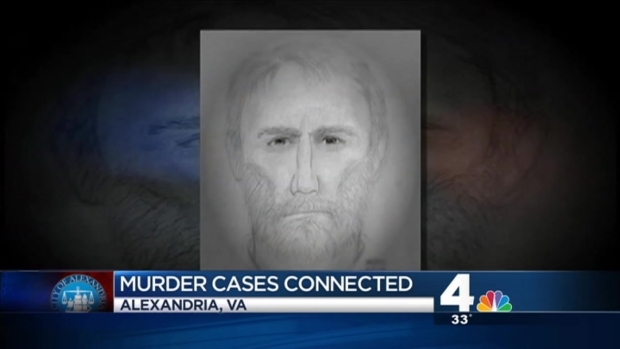 Federal agents are investigating whether a man in custody in West Virginia has a connection to a series of shocking murders that have made residents of Alexandria, Va., afraid to open their own doors. Charles S. Severance, 53, was arrested as a fugitive on a weapons charge around 2 p.m. Thursday at the Ohio County Library in Wheeling, W.Va.
During a court appearance Friday, Severance asked for an attorney and said he didn't want to be extradited to Virginia. He is being held at the Northern Regional Jail; a $100,000 bond was set. Severance faces an extradition hearing Monday. 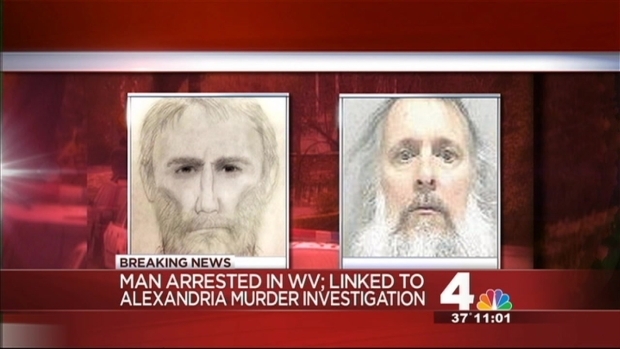 Police and federal agents are investigating whether a man in custody in West Virginia has any tie to three high-profile murders in Alexandria, Va. Charles S. Severance was known in the community, including for two bizarre runs for Alexandria mayor. News4 has team coverage with Mark Segraves, Julie Carey and Scott MacFarlane reporting. Several sources say investigators are questioning whether Severance -- who ran for mayor in Alexandria twice -- has any connection to the deaths of three prominent local community members: music teacher Ruthanne Lodato; local transportation official Ron Kirby, and Nancy Dunning, wife of then-Alexandria Sheriff Jim Dunning. "It's premature to call Mr. Severance a suspect at this time," Crystal Nosal, public information officer for the Alexandria Police Department. "He's not charged with any changes relating to our homicide cases. Right now, we're looking into the possibility of everything, including any connection that he could have." The killings span 10 years, but two occurred in the past four months. Nosal said Severance came to their attention through a crime tip. Police raided his home in Ashburn, Va. Wednesday night, neighbors said. The FBI contacted Wheeling police on Thursday morning. Severance had checked into a hotel there under his own name, but Severance was not at the hotel. Neighbors said Charles Severance had been known to light bonfires on his patio and rearrange rocks in the front yard of his Ashburn townhome. On Wednesday, federal agents raided Severance's home for seven hours. 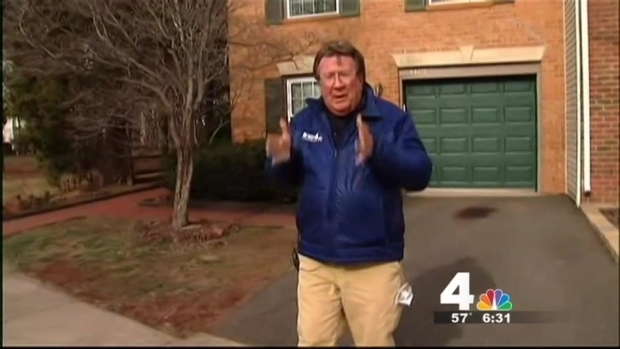 News4's Pat Collins reports. Wheeling police searching the town found him in the library, where he had been using a computer for about two hours, Wheeling Police Chief Shawn Schwertfeger said. They took him into custody. 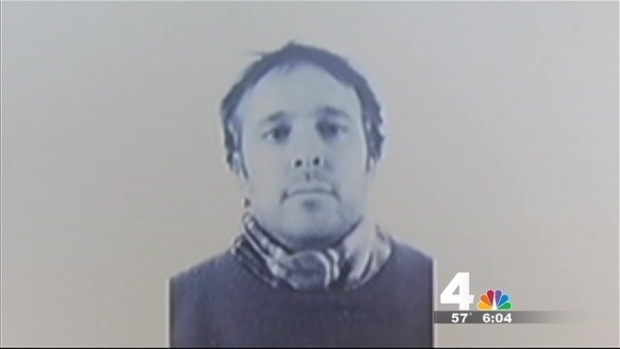 Federal agents searched Severance's hotel room and car and confiscated the hard drive of the computer he had been using. "It's never closed until justice is done, and so at this point I would encourage citizens to continue to call in any clues and evidence that they may find and have, share it with the police," Alexandria Mayor Bill Euille said. "That’s very valuable information that they will always continue to need until the police reaches a point where they believe this is the right person, and that has not been determined yet." Families of the victims were hesitant to comment on the arrest Friday night, but they do want to know what happened to their loved ones. "Right now I am just grieving Ron's death," Anne Haynes, the widow of Rob Kirby, told News4's Darcy Spencer. Severance has had several minor brushes with the law, the News4 I-Team Found. Scott MacFarlane has the latest. "It would be important to know what happened, because I don't know what happened. All I know is that he's gone, he's dead, and he's not coming back," she said. Police records show some of Severance's movements in the past week. One week ago, on Friday, March 7, Severance parked his car at the parking garage at the National Cathedral in Northwest D.C., then went to the Russian Embassy on Wisconsin Avenue in northwest D.C. to request asylum. That was about 24 hours after Alexandria Police Chief Earl Cook held a news conference discussing possible connections between the three killings. He was stopped and frisked and gave officers his Ashburn, Va., address, according to a Metropolitan Police Department report obtained by the News4 I-Team. No arrest was listed; the report shows Severance was “sent away” from the embassy, labeled an “unwanted guest." Severance lived in a townhome in Ashburn, Va., where neighbors described him as odd and eccentric, reported News4's Pat Collins. 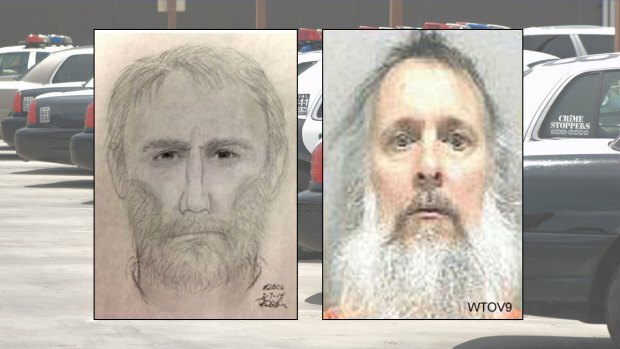 Charles S. Severance was caught after FBI agents sent a picture of him to Wheeling, W. Va. police, noting his resemblance to the composite sketch of a suspect in the murder of three people over 10 years in Alexandria. Severance lived in Alexandria, where he twice ran for mayor. News4's Mark Segraves and Julie Carey have the latest. Neighbors said he'd build bonfires on his patio right below his deck, and rearrange the rocks in his front yard, but rarely went anywhere, instead riding his bike around the neighborhood. On Sunday, he strapped his bicycle to car and drove away, neighbors said. Wednesday night, FBI and police raided the home, searching inside for seven hours and removing items. "We would just never suspect, and it's just so unnerving and upsetting that this could happen here in Ashburn," said a neighbor. "It's shocking." 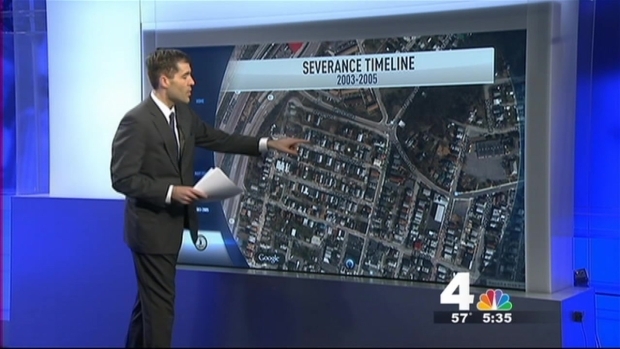 News4's Northern Virginia Bureau Chief Julie Carey said Severance is no stranger to Northern Virginia, reporting several encounters with him when he was a candidate for mayor. "He ran first for mayor back in 1996... and then Severance was back again in 2000, running as an independent," Carey said. Federal agents are investigating whether a man in custody in West Virginia has a connection to a series of shocking high-profile murders that made residents of Alexandria, Va., afraid to open their own doors. Severance also ran for Congress against Jim Moran in 1996 and received a few hundred votes, Williams reported. But during his candidacies, Severance looked much different than the mugshot released Friday morning. "He was a much younger man. He had dark hair, often had facial hair," Carey said. "But what made him so identifiable in Old Town and at debates is that he would often wear kind of a blanket over his shoulders. He did not look like the typical candidate. He would often be prone to rants in some of the debates that he would try to take part in." Severance ran against former mayor Kerry Donley in both 1996 and 2000. "I mean, he was a strange fellow, an odd guy," Donley said Friday. "He would come totally dressed in black. He had a black cloak, and a black hat, sunglasses and black gloves. He would come to the campaign events, and whether you asked... a local community question, or a local neighborhood question, he would launch into a diatribe about mental health services to juveniles and the prescription of psychotropic drugs...."
The city manager and police chief at the time were so concerned about Severance's behavior that she assigned an undercover officer to shadow Donley, he said. Mayor Euille also remembered Severance from his campaigns. "I had an opportunity campaigning in the '90s, '94 through 2000 and in the 2000 campaigns, having witnessed him, his participation as a candidate for the U.S. Congress on two occasions and on two occasions for mayor," Euille said. "He was not a person that had his act all together. He seemed to certainly have some issues. It was not someone that I even knew before he ran for these offices, and I never had an opportunity to sit and chat with him and get to know him at all and hadn't seen him since probably 2000 or 2001." Euille never considered him a serious candidate. "When candidates were being questioned by the panel, his response to any of the questions was always the same, and he would always talk about prescription drugs and how they needed to become legal and everyone would be happier as a result," he said. "No matter whether the question was about affordable housing, transportation, the environment, every response was, 'I think we ought to push for legalizing drugs; I think we ought to legalize prescription medicine.' It was like, OK, this was not a serious candidate," Euille said. "It's someone that was just there as a publicity stunt." A website registered to a Charles Severance of Oakton, Va., rails against mental health treatment and lambasts an Alexandria court that banned him from having contact with his son. On the website, Severance is described, in third person, as a respected citizen who refused to submit to a mental health exam because it was an inexact science conducted "by secular (demon possessed) humanist-priests, democracy government regulated mad-doctors, agents of psychiatry, and other weak hypocrites." 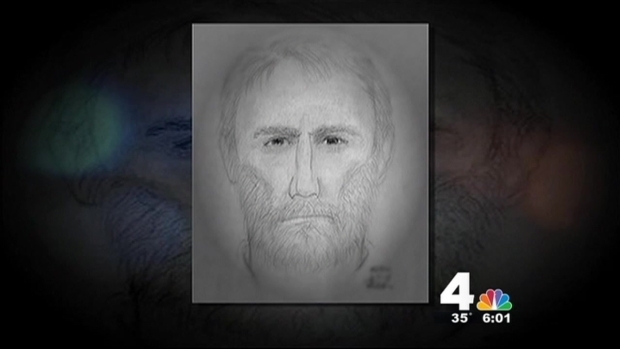 Severance was wanted for possession of a firearm by a felon in Loudoun County, Va., according to a police document. 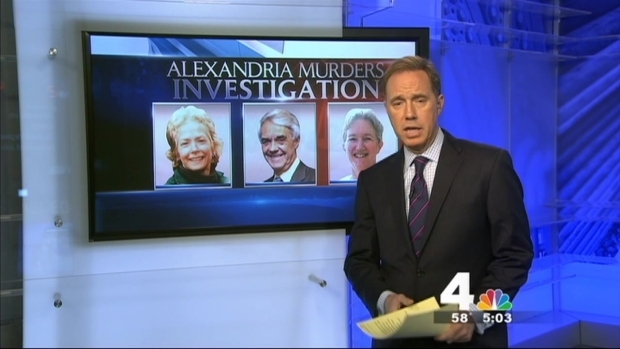 Alexandria Police announced Thursday there may be a link between three unsolved, high-profile murders. 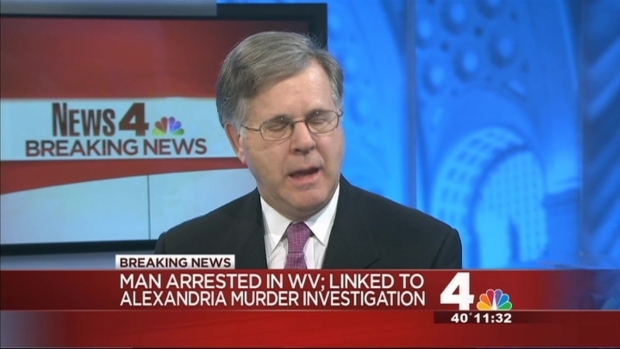 NBC News Justice Correspondent Pete Williams says Severance's previous convictions were the basis of the weapons charge. Severance spent 10 days in jail in 1997 on a gun charge, and in June 2005, he pleaded guilty to carrying a concealed weapon. Under Virginia and federal law, it is a felony to possess a gun if you've been convicted of a felony. Alexandria Police say the forensics on bullets used in the murder of a beloved music teacher are similar to those used in two other high-profile unsolved murders. The News4 I-Team’s review of court records found a custody case involving Severance in Alexandria court in May 2010. Severance listed an Oakton, Va., address. Years earlier there were a series of court cases in Cumberland, Md., including assault, disorderly conduct and indecent exposure. Law enforcement officials said Severance spent just one day in jail for those cases. Ohio County, W.Va., Sheriff Patrick Butler told the News4 I-Team his department's undercover officers helped with the arrest of Severance in Wheeling Thursday; federal agents also assisted with the arrest. Cumberland, Md., Police Sgt. Scott Saeler said the FBI and Alexandria Police also asked for his department's assistance in locating Severance early Thursday morning. Federal agents believed Severance may have been in the Cumberland area due to previous ties and crimes committed in the city. They conducted their search without success. Police said last week that the deaths in Alexandria could be the work of a single killer, saying the forensics on bullets used in last month's murder of music teacher Ruthanne Lodato are similar to those used in the killing of Ron Kirby (right) in November and of Nancy Dunning in 2003. Lodato (below) was fatally shot after answering the door of her home on Ridge Road Drive just after 11:30 a.m. Feb. 6. The balding, bearded man on her doorstep opened fire, killing Lodato, 59, and injuring her mother's caregiver. The caregiver was able to give a description of the gunman to police, which formed the basis of a widely distributed sketch of the suspect. All three murders have chilling similarities: They were daytime shootings, without forced entry, at the victims' homes. "This is not the norm in our community, in our city, to have these types of murders, and we want to end it and prevent it from happening again in the future," Euille said. During Chief Cook's March 6 news conference, he announced that all three cases were to be investigated as a "series." The bullets used in all three cases have the "same general rifling class and characteristics," he said. Cook said the gun used in all three slayings was a small-caliber weapon, but it was impossible to tell whether they all came from the same gun. "We will stay on these cases," Cook said. "We have never given up." Cook said no common motive had been established. He added the public should not assume the killer or killers live in Alexandria, because there was no evidence to indicate that. At the press conference, Cook urged residents to remain vigilant and to not open their doors to strangers, something many residents had already been doing. "People are afraid to open their doors," said R.C. Huffman with Executive Lock and Key shortly after Lodato's death.